As the NFL season approaches, millions of people are planning their fantasy draft for the upcoming fantasy football season. Fantasy football has become big business, whether websites charge to enter leagues or not. You can still find many free leagues to play in, even ones that allow you to customize your scoring and how many teams can enter. I have been running my own fantasy league for about 10 years now and for me, it is more exciting than the actual football season. I like watching football sometimes, but I am not a nut about it. On Sundays, you will never catch me watching football from 1 PM (10AM on the west coast) until midnight. I get more enjoyment watching my head-to-head matchups in my league than I do watching the actual games. However, during a fantasy season, if things start to go bad for your team, it can be a really long season making you lose interest in your team and the league. When an owner starts to neglect their team, it can really alter the outcome of the league, or even ruin it. To guard against situations like that, I have developed a few rules in my league settings that allow me to control the quality of the league. 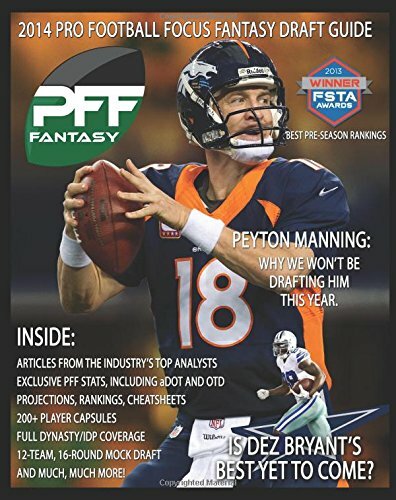 The most important aspect of your fantasy season is the pre-season draft. If you make a few wrong moves, you will pay for it all season. Drafting a fantasy football team is more challenging than drafting a fantasy baseball team because of a couple of factors such as league scoring and number of teams. Both can affect who you select in the first round. There are too many scenarios to cover for every fantasy draft, so for this discussion, I will talk about drafting in terms of one of the more popular types of football league; Points per Reception or PPR leagues. Simply put, these types of leagues grant a point (or 0.5 pts) for every catch that is made by a running back, tight end or wide receiver. This can significantly affect the scoring and makes for a more exciting league. But it also alters how you draft so that is why I am mentioning it first. The hypothetical scenarios I list below are based on a PPR mock draft. Before you sit down at your computer to draft your team, you need an idea of who are the projected top players at each position. There are several ways to do this. You can go by the rankings in Yahoo or whatever league sponsor you are using, or you can do research on sites like ESPN. Sports sites contain detailed stats for every player during the last NFL season. First, players may have had a 1 off year: Great stats but they are not in line with their career statistics. Players may have switched teams during the offseason and gone from a prolific offense like the Denver Broncos to say the Jacksonville Jaguars. Age may be a factor, especially for Running Backs. RBs tend to fall off in production as they near 30. Speaking of RB’s, the number of carries in the previous season should be noted. Wear and tear on the legs is a huge issue for RB’s so if they led the league in touches last year, draft with caution. Finally, any ranking system with usually be based on traditional fantasy league scoring, not for a PPR league, so for example a RB that ran for 1500 yards and 10 touchdowns may be ranked higher than a RB that ran for only 800 yard, but had 55 receptions and 8 touchdowns. Developing your own fantasy football draft strategy before the draft will allow get you the best results and keep you away from panicky last minute decisions in a live online draft. Do not try to wing it or you will likely make mistakes. Before your draft, make sure there have not been any major injuries to any of the key players you may want to draft. The last thing you want to do is draft a RB that tore their ACL in the last preseason game the night before. 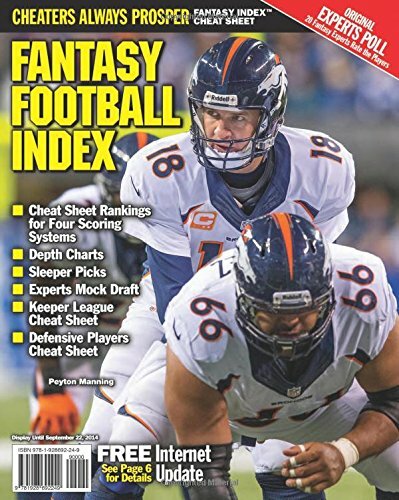 Fantasy football rankings change from day-today. Most sites in this genre keep an up-to-date list of injury news. 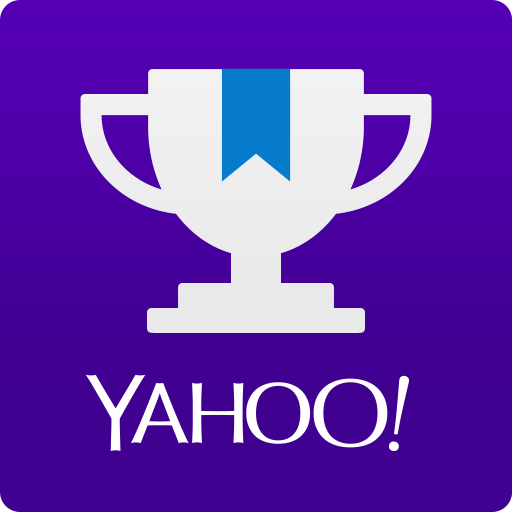 Sites like Yahoo even provide an alert system when something major happens to a player. Pay attention to it. This also applies to suspended players also. You don’t want to draft what you think is a steal only to find out they cannot play for the first half of the season. One of the biggest draft day decisions for the 2014 season for many will be when and where to draft Josh Gordon since he has been suspended for the first 10 games. Whenever you login 30 minutes before your fantasy football live draft, you will learn the draft order. At least that is the way it is with Yahoo. I wish they would give you more time because where you draft can make a big difference in your draft strategy. However, if you have done your homework, it really should not matter. Your first 10 – 20 picks should be set already and if you get the 5th pick, you should have a pretty good idea who you are going to get. Again, do not simply go by the site rankings, and never let the system auto-pick for you. You need to base your pick on your league's scoring. If there is a RB you want with a lot of receptions, but he ranks much lower that the top RB’S, do not let that discourage you. I can tell you for a fact that Adrian Peterson does not catch a lot of balls out of the back field, but Arian Foster does. Because of that, for the last several years (until last season when Foster got hurt), he was the better selection in PPR leagues despite AP’s monster 2012 season. Running Back, Wide Receiver or Quarterback with the First Pick? This one is up for debate but it depends on the type of league you are in and your position in the draft order. Conventional wisdom suggests you take a dominant RB if you are picking in the first five, but that depends. If you are in a PPR league, you may want to select a dominant WR that had over a 100 catches last year in a prolific offense. For instance, if Josh Gordon was not sitting out the first half of the season, he might go in the top five in a lot of PPR leagues. I have even selected a dominant QB in my PPR leagues with the 5th or 6th pick. However, those types of QB selections should only be made with guys like Brady or Manning. Do not panic when a run on a position occurs. Stick to your strategy and draft according to position and scoring needs. Never ever draft a kicker with anything but your last pick. Kickers that score points are a dime a dozen so you should not invest your time or picks in them. To a lesser extent, this applies to team defense also. Most leagues allow you to select one team defense to score points for you every week. As with kicker’s I tend to wait until the later round to waste a pick on a defense. The only caveat to this advice is if your league awards better than average points for sacks, interceptions and points allowed, selecting a team defense that was dominate the previous season in the middle rounds can be beneficial. But again, it depends on your league scoring settings, so take that into account. Stay away from situations where teams use RB’s in a committee. You want to avoid drafting these types of backs if at all possible because they will frustrate you to no end. When drafting for a PPR league, I tend to fill in my reception positions first along with a great QB. I do this for a couple of reasons. First, RB’s are iffy. They get hurt a lot so if you use an early round pick on one, it can come back to bite you. In a PPR league, the RB position is much less important than in a traditional fantasy scoring league. There are exceptions of course. For several years, Arian Foster was a number one pick, but after his injury last year, I would be weary of him in the first couple of rounds. Jamal Charles and LeSean McCoy also catch a lot of balls out of the backfield so grab them in the first round if you can. However, there are always surprises in the RB position every season. Someone always emerges on several teams that you never saw coming, so be flexible and know that the RB that ends up playing the most games for you during the season may not even be on your fantasy football draft cheat sheet. If you are interested in setting up your own custom league, my advice is to make it a PPR league and consider some of these options. With this number of teams, it allows for more flexibility to pick up available players if any of yours are not performing, or get injured. If you have a league with 12 or more teams, once players start to get hurt, there is no one to pick up because the players are spread too thin. In my experience, that leads to managers giving up on the season. Limiting the maximum number of teams helps keep the league interesting and alive until the playoffs. When setting up your league, you are given the option of how to approve trades. One option lets the league managers vote on each one, while the other lets the Commissioner approve or disapprove. I know the democratic approach sounds fair, but from my experience, owners do not vote on fairness, they vote on self-interest. So even though a trade may be perfectly balanced, some owners will veto the trade out of spite. If the majority of owners do this, the trade is disallowed. Or another situation is you may have one team trying to dump players to another team (perhaps they know each other), and the trade goes through simply because owners did not reject it. If you are interested in running a fair league as Commissioner, I suggest that you approve or disapprove all trades as I do. If the trade matches up on paper, approve it. I have been doing it this way for several years now and I don’t think I have ever disallowed a trade. As I said, I like to have a 10 team league, however, I allow 8 of the 10 teams to make the playoffs. Again, it keeps everyone interested and playing until the end. You do not want teams giving up mid-season and ruining your league. Therefore, with 8 teams in the playoffs, during the first week, the top 2 seeded teams get a bye while the others play. If you are selected 3 weeks during the NFL season to have your playoffs, I suggest you start in week 14 which allows you to avoid the week 17 nonsense that goes on in the NFL. You do not want your starting QB or other major players sitting out the last game because their real teams are resting them for the playoffs. And to be honest, this can happen in week 16 too if an NFL team has such a big lead in their division that they have nothing to play for, but you can only control what you can control. If you see this type of situation possibly setting up for your playoff run, you may want to grab some alternatives on the waiver wire a few weeks ahead just in case. What I have discussed are some basic tips that I have learned since I started playing online back in 2001. I have been in both kinds of league scoring and I can tell you that PPR leagues are much better. They allow for more scoring which makes it more exciting to watch on Sundays. Be sure to pay attention to the latest injury news before you draft, as well as the starting position changes. Sometimes starters lose their starting job at the last minute because they get outplayed in camp. If you want to try out your strategy, there are plenty of fantasy football mock drafts out there to play around with. Make sure you draft a team suited for your league scoring. If you are not familiar with the point system, take some time beforehand to study it because your success in the draft and ultimately the league which depend heavily on the early decisions you make. Very solid article, should REALLY help those who want to start out (next year) and just don't know where to start. There is so much info out there that having a lot of it in one place is nice. Take advantage of those mock drafts, they can really help you get a feel for the draft and the timing of everything!